"I am so grateful for Letha and Dr. Wiggins! I will never go anywhere else." "I had a phenomenal massage here. Loved the variety of pressure, hot stones, and oils." "I will be a loyal customer forever. It's a very special place." "This place is so soothing from the moment you walk in to the moment you step out!" "I'm so glad I found this gem of a place!" "This place is heavenly. So relaxing just walking in." Are you struggling with feelings of bloating, or fatigue? Do you have weight loss resistance, increased belly fat, cravings and blood sugar issues? A first impression of SANTÉ Aesthetics & Wellness in Portland, Oregon, immediately confirms that they are “Portland’s premier oasis for rejuvenation and healing.” And that’s only on the outside. As patients tour their peaceful facility and meet the compassionate staff, they quickly realize that SANTÉ is exactly what they’d envision if they could choose a relaxing atmosphere in which to rejuvenate their health and appearance. Calmness pervades the atmosphere, yet in this serene setting, patients have access to the highest quality holistic medical care, the full range of aesthetic treatments, and a complete spa facility that includes a soaking pool, cool dip pool, steam room, and UV light room. 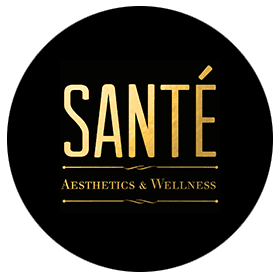 The team at SANTÉ Aesthetics & Wellness includes a group of extensively trained naturopathic doctors who are dedicated to healing and helping each patient achieve their full potential and optimal health. They help patients prevent disease, get to the root cause of illness rather than merely treating symptoms, then treat conditions by combining natural medicine with traditional Chinese medicine. In addition to naturopathic doctors, the team includes a licensed and board-certified diplomate in acupuncture and Chinese herbal medicine, licensed massage therapists, licensed estheticians, and a master esthetician. At SANTÉ Aesthetics & Wellness, patients can receive wellness services, such as naturopathic primary care, medical weight loss, and motor vehicle accident therapy. Their aesthetic services are comprehensive, ranging from facials and injectables like BotoxⓇ and dermal fillers to cutting-edge laser treatments and nonsurgical tightening of the face and neck. When patients seek care at SANTÉ Aesthetics & Wellness, they can look forward to truly individualized care, personal attention, and a team of professionals who care about each person’s physical, mental, and emotional well-being. Call the office or use the online booking feature to schedule an appointment. "This place is amazing. As a birthday gift my son got me two hours of massage and an hour of facial. I loved the place, ambiance, staff and treatments. Highly recommend!" "The staff is well-informed, knowledgeable about new products and old. You're in good hands." "This place is phenomenal and the staff are all top-notch. A-1 service and facilities!" "The best part about this place is that Dr. Wiggins is a doctor and knows so much that she can recommend the best treatment for each individual."